I hope you all had a great Easter holiday! Last week I worked in Gulu from Monday to Wednesday then headed down to Kampala on Thursday with Travis and Carolina. We were going on day 3 without power when I left, so I wasn’t too heartbroken to take a mini-vacation. 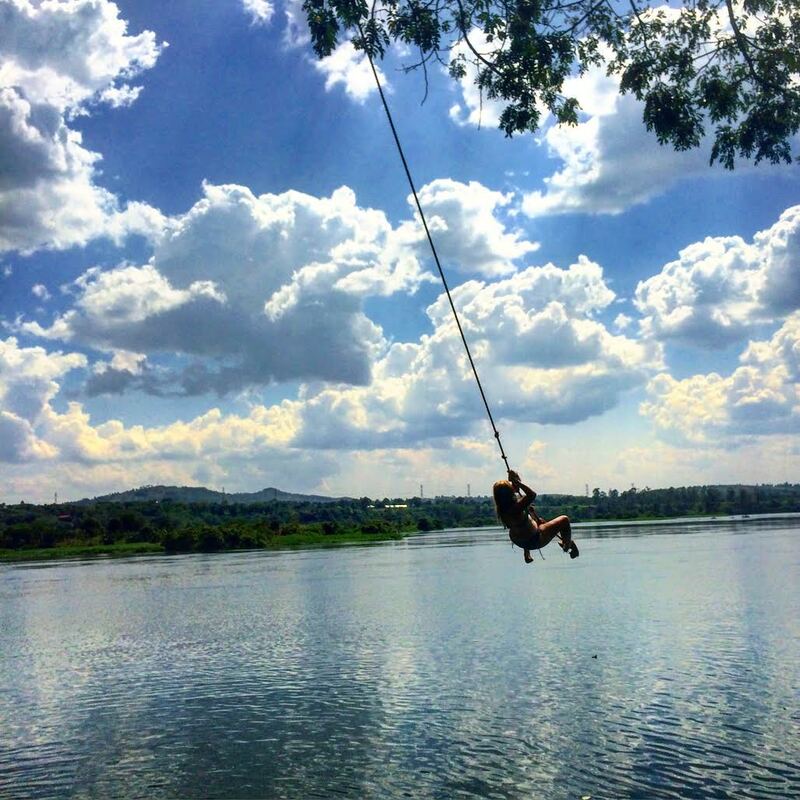 Trav and Carolina were heading down to Lake Bunyoni on Friday for Easter and I headed to Jinja to meet up with Lindsay, Katie and Katy. 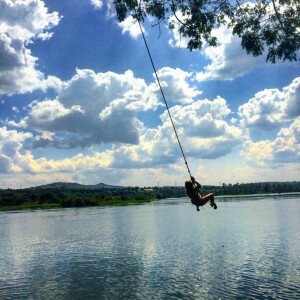 Jinja is located about 2 hours outside of Kampala and is home to “the source of the Nile River.” While I’ve spent a few hours here and there in Jinja, I’ve never spent time exploring. I’m super glad I did because it is such a beautiful town and I had such an incredible weekend with incredible people! 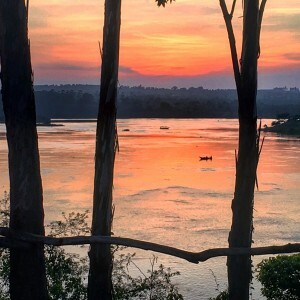 We stayed at Nile River Camp, situated on top of a hill, which provides for the most amazing views of the Nile, especially at Sunset. I’m sure it has great views at sunrise too, but lets be real, we all know I wasn’t up that early. Most of our weekend was spent lounging by the pool or by the river with a refreshing beverage from time to time, in addition to laughs and great conversations. 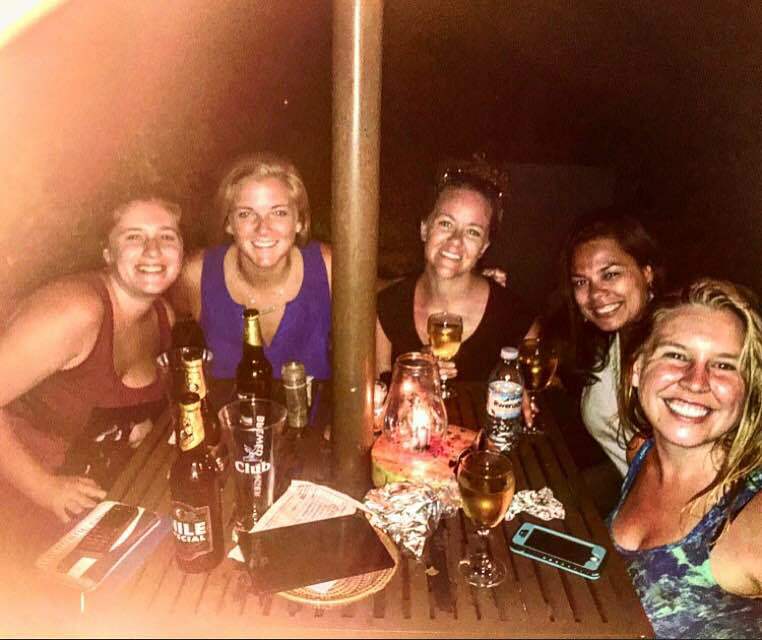 We all don’t get to spend as much time as we would like together in Gulu, so this trip made up for lost time. One of Katie’s friends from Peace Corps, Mary Claire, ended up coming down from Tororo which was also great-she’s a hoot and a half and had us all laughing the entire weekend. On Sunday we ended up leaving our camp and moved to a backpackers hostel in town so we could explore the “downtown” area. Most restaurants in town were closed so we ended up at the Jinja “Sailing” Club for easter lunch. Not too sure why it’s called the sailing club since, as far as I could see, there was one lone wooden canoe…Anyway, we were enjoying some delicious sandwiches and the live band that they had for the occasion when they announced that the easter egg hunt would be happening soon. My friends had to tell me to sit back down because I got really excited…I’ve always loved holidays. Add a tradition with a little competition in it and I’m your girl. Unfortunately this Easter egg hunt had an age cap of 10 (erroneous!) so we watched as kids ran around searching for hardboiled eggs that had been colored in with sharpie. The announcer kept saying over and over “ the eggs are not poisonous. I repeat the eggs are not poisonous. You can eat them as soon as you find them.” And just like that, a bunch of Ugandan kids were sitting in the grass eating hard-boiled eggs with huge grins on their faces. It was one of those moments that remind you how simple happiness can be. Did I mention the rope swing!? 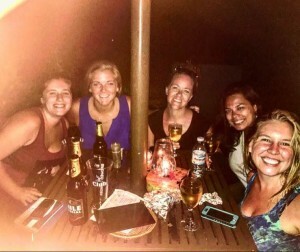 On Monday I said goodbye to my friends as they started the long trek back to Gulu. I ended up staying the night in Jinja so I could head to Nawanyago on Tuesday morning to check in with the ITW team there. On Tuesday morning I woke up with a small feeling of dread, as I got ready for the day. I love this project and our team at Nawanyago, but there is only one way to get there from Jinja and that is by Matatu (public taxi). I’ve been pretty turned off by public transportation in Uganda (I guess a head on bus collision will do that) but I know that it is a part of traveling and understanding a different culture. As I rolled up to the taxi park, I prepped myself for the haggling to begin. I was greeted with “Mzungu how are you so beautiful. Ah it is amazing. Look at your hair.” Eh to be honest, I’ve had worse mornings. As I continued deeper into the park, many conductors approached me about taking their matatu. I finally told them that I wanted whichever one was leaving first. You see they don’t leave until they are full so sometimes you can sit up to an hour waiting for enough passengers to load. I then felt someone pulling on my arm saying that he needed one more passenger before he would set off. Perfect. Sold. When I see this “ready” matatu, all I can think is “one more passenger? Are you joking? You need to take about 4 people out so there is enough oxygen in there!” Anyways he proceeds to point to where I am supposed to “sit”, which is essentially on a 70 yr old woman’s lap. He tells her to move over, which accomplishes about an inch of room, and then I smoosh myself on in there. Okay, okay Amy this is fine. It’s only 40 minutes. What could happen? Someone steals your passport? Oh wait; you accomplished that milestone last week. Well to top it off the conductor then comes and essentially sits on my lap because he has to collect everyone’s money by the door. At that point I was audibly laughing because it’s one of those moments where you just think, “How did I get here?” The good news is that if, God forbid the matatu would have rolled, there is no way neither grandma or I were going to move an inch. AND she even she even gave me tips on how not to get ripped off when riding matatus. Not trying to make this a daily routine, but I appreciate her sound advice. On Wednesday morning I met up with Emmy to head back to Nawanyago for day two. All in all, our time at Nawanyago was very productive and I am very happy with how this outreach went- Henrietor and Sister Angela are extremely organized which makes my job very easy. We spent the morning seeing patients, talking to the Village Health team, and reconciling some data before making the trip back to Kampala. I think one of my favorite parts about these outreaches is getting to spend time with Emmy. He has been without a doubt, one of the most amazing research mentors to me ( I’m lucky to have a few : )). He does have to bring me back to earth sometimes and remind me that I’m 24 and that I have a long way to go before I help cure Uganda of all its health problems BUT I appreciate that quality of his too. Today Emmy, Twalib and I will be interviewing nurses for the Gulu Clinic at the Heart Institute and tomorrow Emmy and I will be leaving bright and early for our Kasambya outreach. The adventures of Emmy and Emmy continue.